Audi A1 Interior, Sat Nav, Dashboard | What Car? While the Mini can annoy with its offset pedals, there’s no such bother in the A1: seat, steering wheel and pedals are all as well aligned as a team of synchronised swimmers. There's a broad range of height and reach movement for the steering wheel, but the driver's seat won't go quite low enough to suit everybody, despite the presence of a height adjuster. If you want adjustable lumbar support, you'll have to stretch to mid-spec Sport trim. The upward sloping cushion angle of the S line's sports seats won't suit everybody and, despite their extra bolstering, they're aren't that supportive through corners, either. These issues aside, there’s very nearly as much scope for fine-tuning your driving position as you’ll find in the Fiesta. The simple dashboard controls include physical buttons to deal with all ventilation and heating functions, rather than the fiddly touch-sensitive buttons that some of the A1's rivals employ. You also get digital instruments as standard in place of regular analogue dials, with the option to swap the standard 10.3in display for a more configurable version if you add the rather pricey Technology Pack. Thanks to comparatively skinny front windscreen pillars, it’s easy to see forwards out of the A1. Rearward visibility is less impressive due to the A1’s thick rear pillars and angled rear screen. Both the Polo and Mini 5dr have a wider expanse of glass at the back, for a clearer view out when reversing. 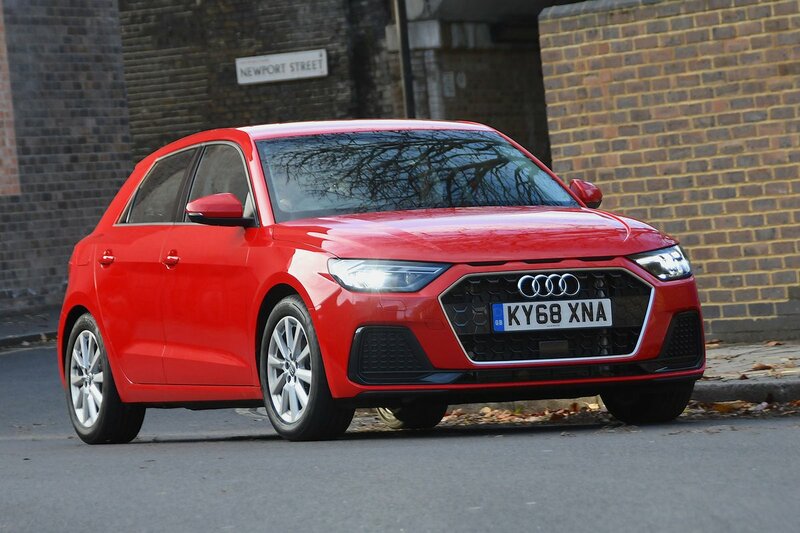 The restricted rear view is less of a problem if you go for an A1 in Sport trim or above, because rear parking sensors are fitted as standard. Front parking sensors and a rear-view camera are optional on all versions. LED headlights are a fitted to every A1 – all the better for illuminating those dark winter evenings. All models come with an 8.8in touchscreen that’s positioned high up on the dashboard, so you shouldn’t have trouble seeing or reaching it. That said, it’s touchscreen nature makes hitting the screen icons almost impossible without a deliberate glance away from the road. The Mini’s iDrive rotary controller is much easier and less distracting to use while driving. It’s a well kitted-out system, with Bluetooth, a DAB radio and Apple CarPlay and Android Auto smartphone mirroring on every trim. These allow you to use selected apps on your smartphone, including its sat-nav, through the touchscreen. If you add the pricey Technology Pack, the screen grows to 10.1in and you get a lot more features. 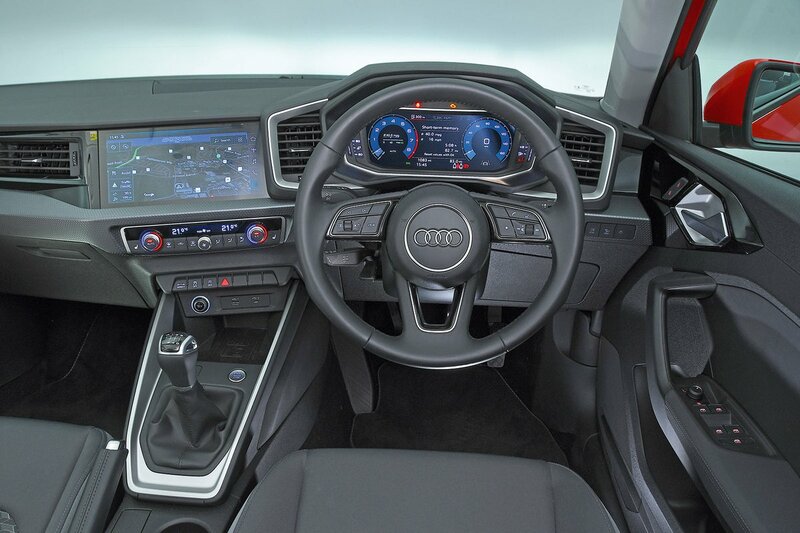 These include in-built sat-nav, a handwriting pad (which you can use to enter postcodes), a 36-month subscription to Audi Connect (which enables use of online features such as Google Earth, email and news) and wireless phone charging. Meanwhile, the standard stereo has six speakers, and it’s a reasonably punchy system. You can upgrade it to an 11-speaker, 560-watt Bang & Olufsen system, which is part of the Comfort and Sound Pack. Sadly, what was once one of the defining aspects of the original A1, interior quality, is no longer outstanding in this second-generation model. The less expensive Polo isn’t immune from hard plastics inside yet, in places, manages to feel more robust and better finished than the A1. However, if you want a small car that feels really special to sit in, the Mini is top dog.